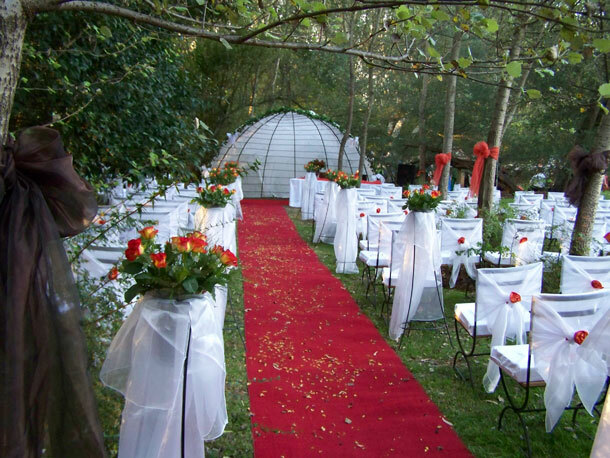 Waterfall Cove is the all-in-one, one-function-only wedding venue nestled in the Riparian Forest along the banks of the Mid-Crocodile River. • Full planning and co-ordination – two hourly workshops every month up until the Wedding / Function for décor design (Chapel; Hall); Wedding details (toasting, menu, bouquets, flowers, cake), timing of the day’s events; hall layout; seating plan and rehearsal. • Table runners – organza and taffeta – your colours; no restriction to the number of runners per table. Our Team aspires to building lifelong relationships with you, combining charm, individuality, dedication, meticulous co-ordination and planning to ensure your special wedding day runs flawlessly. 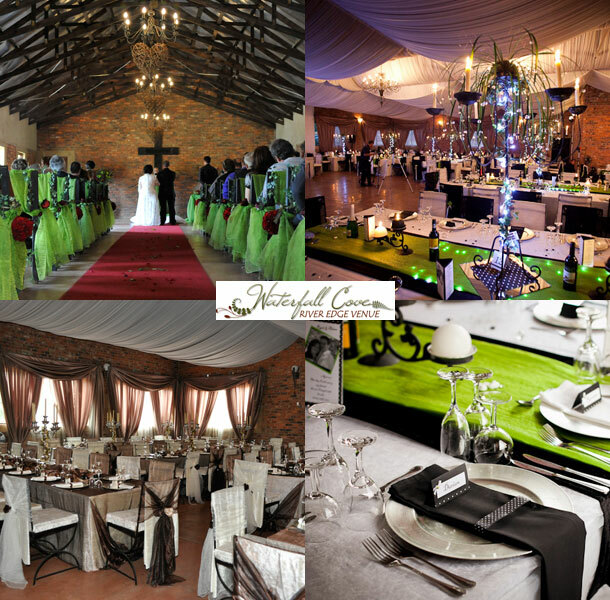 To book your wedding at this venue telephone Beverley and the team on +27 (0)76 753-2754. Alternatively visit Waterfall Cove River Edge Venue for further details or to send an enquiry.